A dry white wine blend of Chenin and Chardonnay, or just Chenin dependent upon the year. When blending, this wine relies on the structure of the first name variety and the characteristic fruit flavours of the second.The vinification of the two varieties is done separately and blended at the end of the year. The Chenin grape, a Loire Valley variety, sounds an original note in the orchestra of white wines. A sweet white wine. 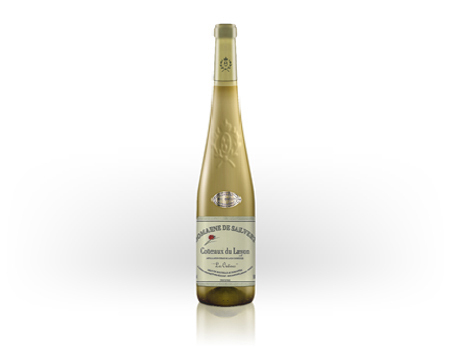 In this "sweet" white wine the Chenin grape releases the complex flavours of apple and citrus fruits. Toward mid October the grapes become over mature and take on beautiful deep orange/brown hues. Now is the time to be vigilant and check the rows dedicated to the production of this splendid nectar. During the summer the "green" vendage was done to lessen the burden of bunches to 6 – 8 per vine, preferably close to the principle vine stock well exposed to sunlight and not touching each other. The concentration of the sugars is then dependant upon the autumn climate. Humidity during cold nights after a sunny day and the famous "Botrytis Cinerea" develops on the skin of the grape making it more fragile. The evaporation of the water contained in the grape then concentrates the sugars. If the autumn just prolongs a hot and windy summer the "Botrytis" does not develop. The action of the sun and wind on the grape begins to dry it out and this too allows the quantity of water inside the grape to diminish. This reaction is known locally as "Passerillage" of the grape. The climatic conditions of the last few years have given us a marvellously pure harvest. During 2000 and 2001 the botrytis arrived during mid October. After this it was necessary to be very vigilant. If the weather is damp and muggy grey moulds can arrive quickly and ruin the quality of the wine giving it a taste of the deep of the forests. The vendage can be affected very fast. In brief: the Coteaux du Layon is often a splendid wine, that requires watching with extreme care at all times but during certain years can bring immense joy. After a manual harvest, the bunches of "sun roasted" grapes engorged with sugars are brought in boxes to the finely tuned pneumatic presses that do not crush the pips and skins. A slow alcoholic fermentation of the "must" continues until the following spring. We stop the process at about 12 % alcohol leaving the residual sugar at about 5 or 6%. The whole Art of the process is in obtaining a balance between the natural sugars and the acidity of the fruit which some seasons produces a miraculous wine. This wine is good with red meats and cheeses. it is then worth taking a risk by producing some barrels of " Grains Nobles". In order to do this we leave the equivalent of a last picking after the manual picking of the Coteaux de Layon. Lady Nature continues to do her work. If the weather continues to get cooler especially during the night, and there is no rain, the few bunches of grapes that are left take on a deep brown mantle, the grapes wither and the sugars become more concentrated. A regular tasting allows us to judge to optimum moment when the "total" sought sugar level has been obtained prior to the diminishing bunches becoming too few to use. The vendage is done rapidly. The leaves have almost all fallen and the remaining gapes are all on view. The "must" extracted after careful pressing has a superb golden colour. Vinification is done slowly in barrels. It is often interrupted during the winter if the cellars are too cold and is started again during the spring and can continue right up to June ! 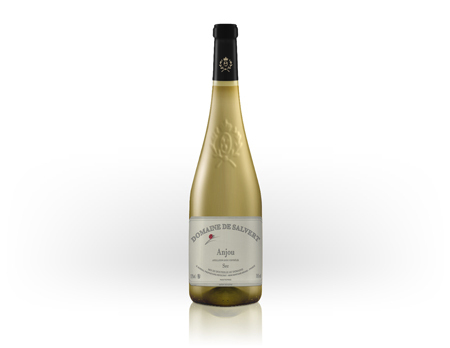 This Nectar is then bottled in small 50 cl bottles as a result of its rarity and the agreement of both the "Institut National des Appellations d'Origine" and the "Syndicat des Grains Nobles". Our last beautiful year on this Domaine was during 2001 when we were able to harvest several barrels on the 15th of December! For those people who are in love with profound liqueurs but who prefer them without excessive sugar and which maintain the lovely natural acidity of the Chenin, we still have a few barrels of Grains Noble 2001 available. This is an experience that for many is totally unforgettable.